These days, many of us have more than one email address. If you’re a student, you may have one account for school, one for a campus group you lead, and one for your blog. If you’re a parent, you might have one for family and one for your business. 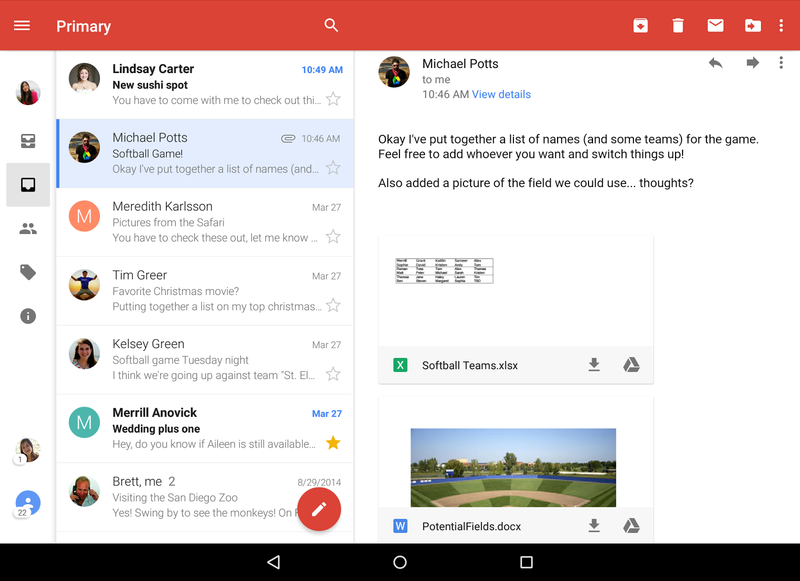 However many email addresses you have, today’s improvements to the Gmail app for Android make it easy to manage all your mail from all your accounts (yes, even @yahoo and @outlook) while you’re on the go. Starting today you’ll be able to view all your mail at once, regardless of which account it’s from, using the new “All Inboxes” option. This way you can read and respond to all your messages without having to hop between accounts. You’ve told us threaded conversations are one of your favorite Gmail features because they keep your messages organized and give you all the context you need to reply to those long email threads. Now messages from your Yahoo, Outlook.com and other IMAP/POP accounts will get the same special treatment, appearing neatly stacked as one conversation. 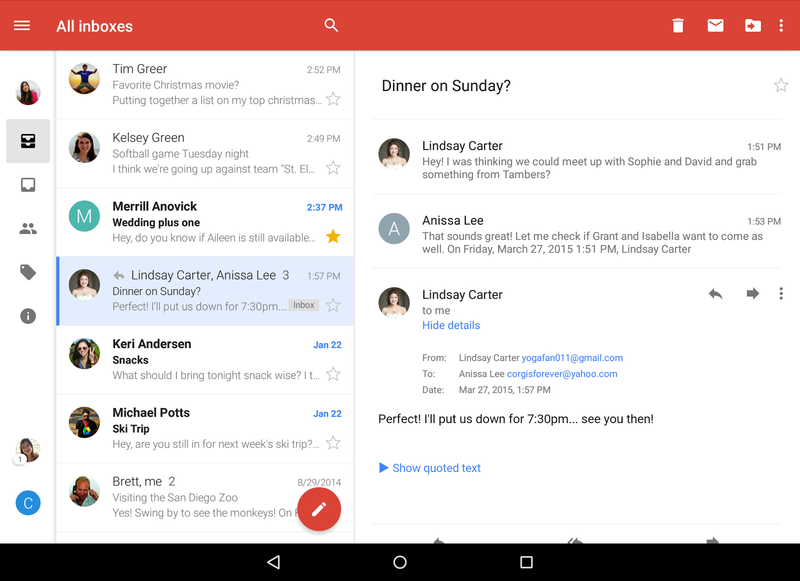 Search is the cornerstone of Google, and of Gmail. 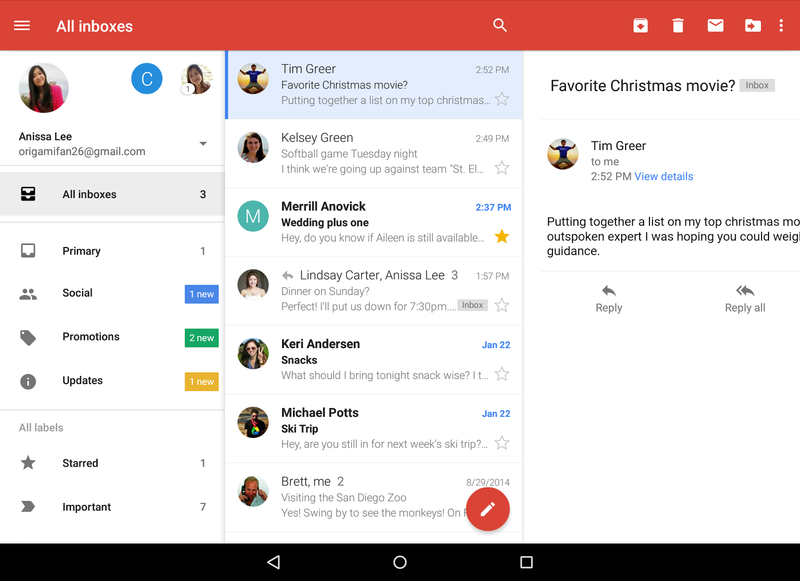 The new Gmail app for Android has better auto-complete, so you can find what you need even faster. Today’s update also includes more responsive animations (like when you open and close a conversation), larger attachment previews to help you see what’s inside, and the ability to save to Drive with a single tap. 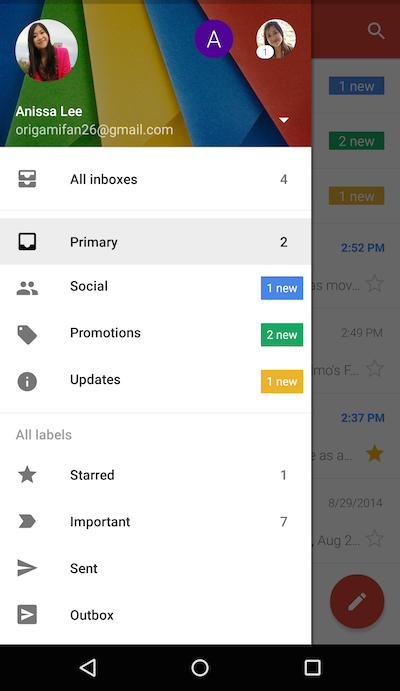 We hope these updates make it a little bit easier to manage mail from all your accounts (Gmail or otherwise!). 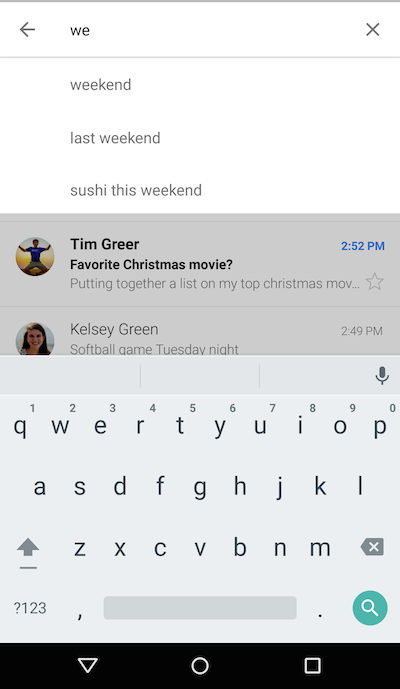 Look for the update on Google Play as it rolls out over the next few days.